A council, that suspended so-called litter police after questions were raised about their service, has voted to raise on the spot fines by 50%. This year a Panorama report found some of Kingdom's environmental services officers bragging about their bonuses. Maidstone Borough Council did not extend its contract with the company and now runs its patrols in-house. During an environmental committee meeting, councillors unanimously agreed to increase the fines from £80 to £120. A reduced charge of £90 has been set for payments made within 14 days of issue. 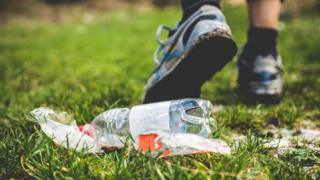 From April 2018 new government legislation means the maximum on the spot fine local authorities can issue for dropping litter will nearly double, from £80 to £150. Council officers in Maidstone recommended that an increase in the value to £120 for littering, including from vehicles, was a "proportionate penalty". Councillor John Barned, chairman of the Communities, Housing and Environment Committee, said: "Littering can have a huge impact on the appearance of our town and villages. "Maidstone Borough Council is committed to delivering a clean and safe environment for all of our residents and visitors. "It is important we continue to tackle littering and other environmental crime." The increase will come into force in April 2018.